A pioneering and simple test looks for tiny DNA fragments in the blood and could spare women needing to undergo keyhole surgery to diagnose the condition. 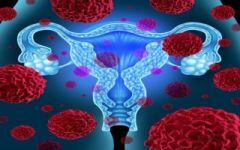 Developed by MDNA Life Sciences and Prof Christian Becker from the Nuffield Department of Women's & Reproductive Health, the test will be available privately within nine months at a cost of about £250 and potentially available via the NHS in the not too distant future. A technique to produce eggs from ovarian tissue in the lab may offer hope for critically endangered species like the Northern White Rhino that have passed what is currently considered the point of no return. Dr Suzannah Williams and her research team have begun work to find a new way of saving the Northern White Rhino by using tissue taken from animal ovaries to produce potentially large numbers of eggs in a laboratory setting. 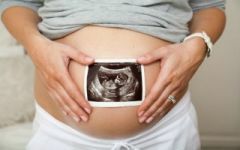 The Oxford Safer Pregnancy Alliance (OSPREA) recruits pregnant women for a range of observational and interventional studies. We are supported by the Nuffield Department of Women's & Reproductive Health, (part of the University of Oxford) the Oxford University Hospitals NHS Foundation Trust, and the Thames Valley & South Midlands Clinical Research Network, part of the National Institute for Health Research. The Nuffield Department of Women's & Reproductive Health invites you to MitOX 2019 on Tuesday 30th April in Oxford. It's our annual meeting packed with short talks and posters on cancer metabolism, neuroscience, diabetes, mitochondrial disorders and general mitochondrial biology. Ideal for researchers with an interest in Mitochondria from academia and pharma. "The MSc Clinical Embryology course awoke the scientist in me. I became proficient in scientific writing, critical thinking, experimental design and data presentation. 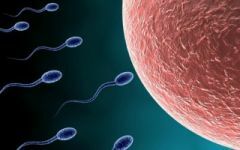 As a clinical embryologist, I credit this course for helping me understand the mechanisms driving the physiology and pathophysiology of human reproduction. Furthermore, learning critical assisted reproductive techniques and interacting with renown scientists in the field overshot my expectations". Wonderful student feedback! Learn about the genesis and formation of micrometastases in Ovarian Cancer and how they can develop resistance to chemotherapy. Explore what can happen to mother and infant in the time before and after birth, such as infections, low birthweights and much more. Discover more about health and disease throughout pregnancy and the effects on maternal and fetal outcome in both the short and the long term. Read about infertility, pelvic pain, therapies for mitochondrial disease and improvement of assisted reproductive technologies (ART). We run three world class Postgraduate study programmes: MSc in Clinical Embryology (1 year residential programme) MSc by Research (2 years research degree) and DPhil (3-4 years research degree). Click on the slideshows below for more details on each course. Please note we are now closed for applications for entry in October 2018. We will open for applications for entry in October 2019 in early September 2018. We are still accepting applications for the MSc in Clinical Embryology for entry in October 2019. This world class course has won numerous awards and provides students with theoretical and practical understanding of human reproductive biology, embryology, infertility and ART including the very latest developments in ART, legislation, ethics, and quality control. Our world class MSc in Clinical Embryology course provides students with theoretical and practical understanding of human reproductive biology, embryology, infertility and ART including the very latest developments in ART, legislation, ethics, and quality control. Our MSc course was specifically designed to include intense laboratory practical training. Students learn skills and techniques directly relevant to assisted reproductive technology (ART), as well as a range of ‘traditional’ and ‘cutting edge’ scientific techniques and procedures. The MSc course is based at Winchester House on the Oxford Science Park, with dedicated state-of-the-art teaching and research facilities. The MSc in Clinical Embryology was established in 2008 and since then, we have taught 141 graduate students from 45 countries around the world. The course has won numerous University awards for teaching innovation and excellence. Professor Krina Zondervan is our Director of Graduate Studies. We offer a two-year MSc by Research and a three-year DPhil in Women's and Reproductive Health. These involve undertaking independent research in your chosen area under the supervision of an expert in your field. There are a variety of projects available for DPhil and MSc by Research students. We are now closed for applications for entry in October 2019. The projects below might be available for entry in October 2020, so do feel free to contact supervisors. Head of Department, Professor of Reproductive Medicine & Co-Director of the Oxford Maternal and Perinatal Health Institute (OMPHI).